On the way back from taking part in an organised clean-up in Marsalforn, a group of friends noticed the huge amount of rubbish littering Selmun Hill. 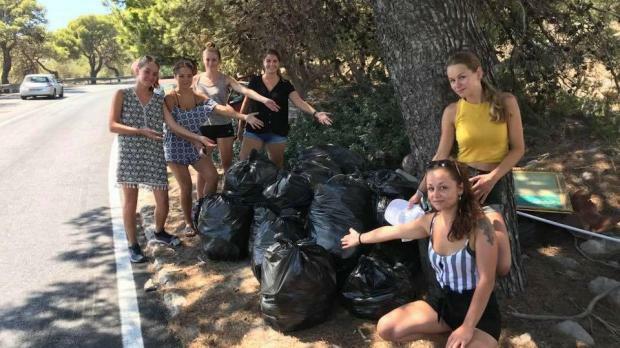 So just a few days later, they were back, and on Saturday the six French women, three living in Malta and the others visiting, spent a few hours collecting no fewer than 25 rubbish bags from the wooded area by the side of the road. Diane Miguel, one of the group, said they had found everything from plastic and paper to car tyres and old shoes to cigarettes and beer cans, one dating back as far as 1996. 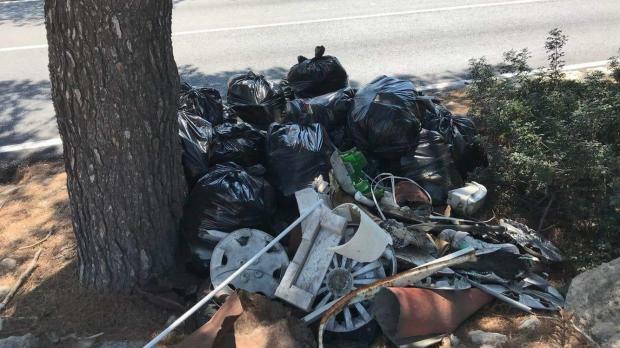 “If a piece of rubbish can remain there so long, it’s clear the authorities aren't doing enough, but we can all do something to make the situation better,” she told Times of Malta. The group - which included Lenaik Herbreteau, Émilie Le Gac, Youna Le Gac, Mélanie Martin and Laura Poret - have now set up a Facebook page which they hope to use to coordinate more clean-ups in the future. The initiative comes amid a growing number of clean-up efforts around the island, some organised by authorities, NGOs or other groups, and others spontaneous individual gestures.